Darjeeling is a city where most of the places are at walkable distance.Even though the distance could be a little far,and a little heavy on your legs,the journey will be surely worth it and hence doable.What great fun is to explore a city ,just walking. Footy Advice: Skip the car/vehicle for a change! 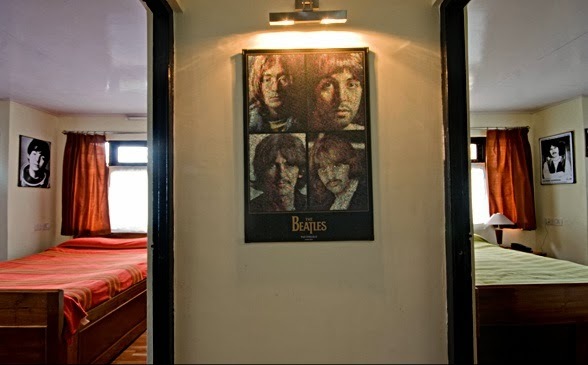 Revolver(Rs 800- Rs 1200):This Beatles themed restaurant is one of its kind in India.Located within walking distance from Mall Road,Darjeeling,everything from room to service to hospitality to food is at par.The Darjeeling Hills have traditionally been alive with music, both eastern and western, and music was the concept around which hotel and restaurant was thought about. You would feel like home and if in Darjeeling,this place is a must for your stay. Darjeeling Tourist Lodge(Rs 500-Rs 1000):The WBTDC Tourist Lodge is a favorite with many.Darjeeling Tourist Lodge is located at Bhanu Sarani and it can be easily spotted while walking in Darjeeling.I would chose Revolver over DTL,but if the rooms above are unavailable,Darjeeling Tourist Lodge is another great choice in the same range. We started from our hotel,clueless as to where to go next (ok I love Lonely Planet books,but then this trip was altogether on discovering places,so we thought of skipping the details and not even going through Internet or must visit places list).And then we were like "Let's go to the Mall road,the only place we knew about"...a little of course. The Mall Road is the main market area in Darjeeling,similar to the ones in Dalhousie,Leh,Gangtok or even similar to the flea markets in baga,goa.The mall road leads to Chowrasta. Note:The "Mall Road" in India has no correlation with the real "Malls".They usually refer to the main markets in Indian Suburb i.e Shimla.So if a Phoenix mall or a Shopper's Stop is what you fantasy,you'd be mistaken,as these shops are real small setups,and bargain here is a must. 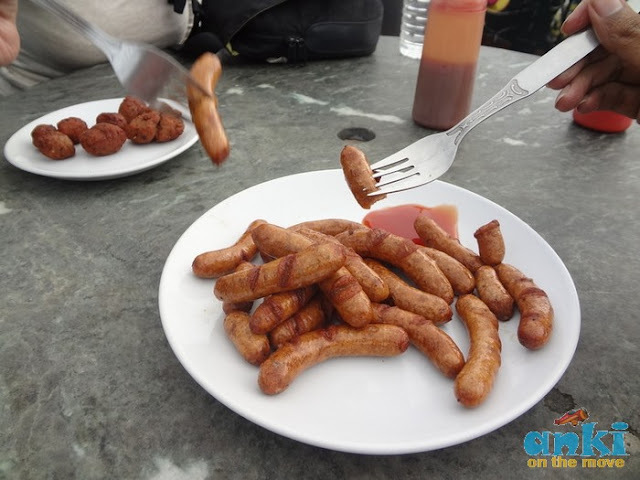 Darjeeling is a foodies paradise,and the very fact that all the restaurants are located at the half a kilometer distance of the mall road,makes it all the more better.In the next 3-4 days we did try a couple of restaurants and here's the summary. Kyonki pet puja bhi jaruri hai lol.And Darjeeling has the best of European Style restaurants and food all at the backdrop of mighty Kunchenjunga. At the perfect soothing temperature,cold as well as not so cold,we ordered chicken ball,chicken sausage with hot chocolate.Pure Bliss. Glenery's: The outlook of the European style restaurant will surely make you think that Glenery's not for you.And that was one of the reasons we skipped it on day 1.But looks can sometimes be deceptive.Believe me,this is one of the most budget bakeries in town.The freshly baked apple pie and the mocha cake was so yum,that I haven't tasted such a piece of years..
.....And I couldn't stop myself from eating more. Back to Glenery's:so well we were so impressed with the snacks,that in those 3-4 days we were frequent visitors at Glenery's until we literally got bored of it.Glenery's also has Internet facility.The bottom part of Glenery's is a bar whie the top a little up class restaurant. 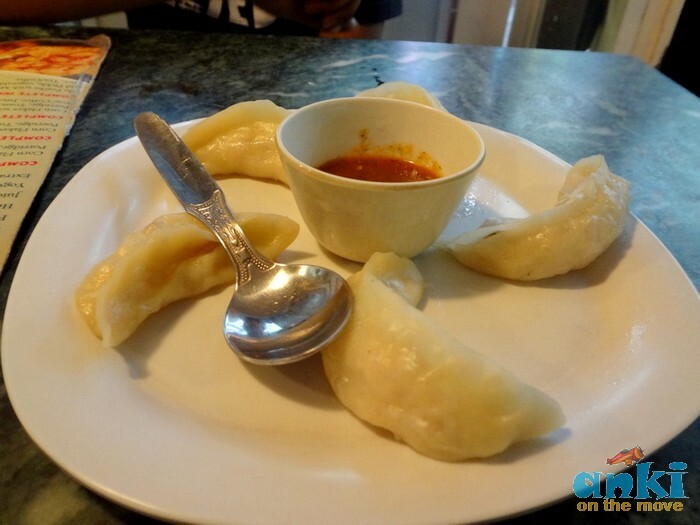 Frank Ross Cafe:Well in Darjeeling,the food joints are plenty.So,if you are vegetarian,or a non-veg or a foreigner,you can survive.This ones at mall road.We had order momos,pav bhaji,tomato soup,thali and pizza.The service is little slow and the food is just OK. The names are just wow,isn't it?This is Darjeeling and thankfully it has retained its old world charm. Coming up with a super friendly map,to help you guys out there,to walk on your own.Till then stay tuned. wonderful update...Please visit the heavenly destinations of North East India and blog on it ! 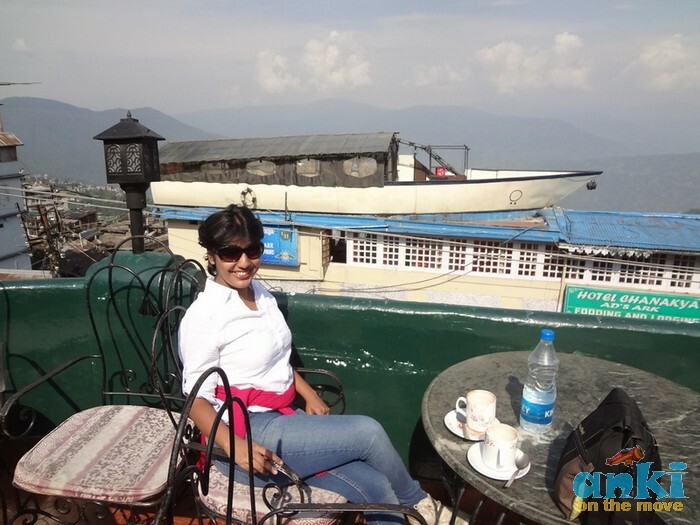 I've never been to Darjeeling, but have always admired it beauty through movies, more recently in Barfi! The hotel reviews will go very handy for people who are planning their trips here! 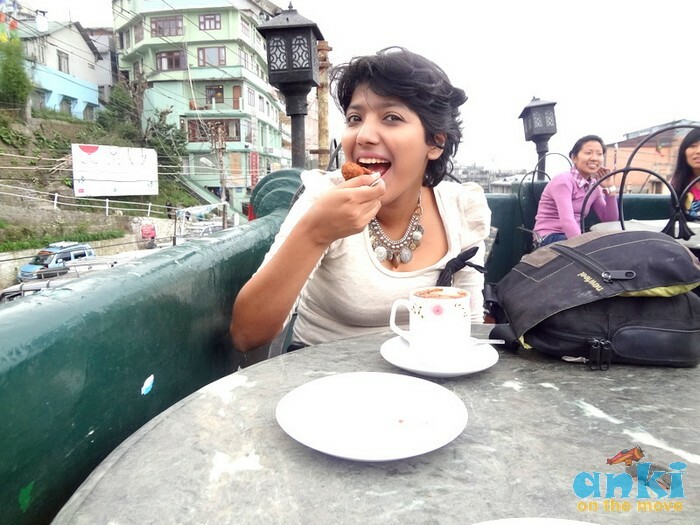 Darjeeling, this is the very good place for travellers. Also this is informative article. @Myluit:Yes,with your blessings,very soon I will :).Are you from North east? @Prasad Np:Yes,thats true.Not many places in India retained that same old world charm.But Darjeeling still remains the same in many ways. 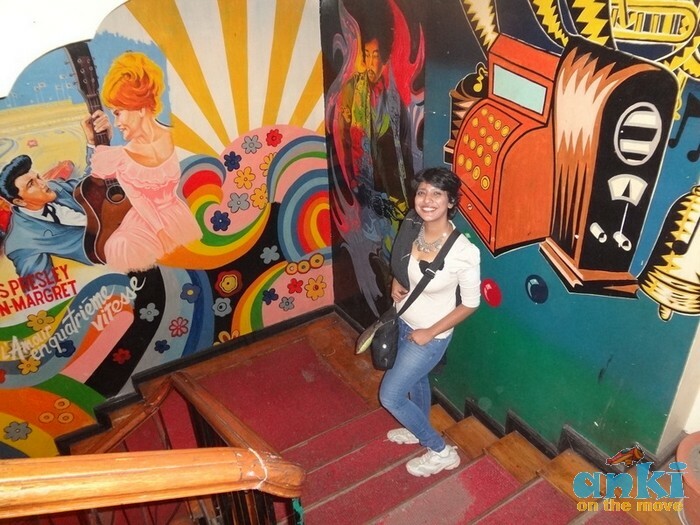 @Country Hopping Couple:Then you should.It's a lovely place :).I love your blog too..quite interesting. 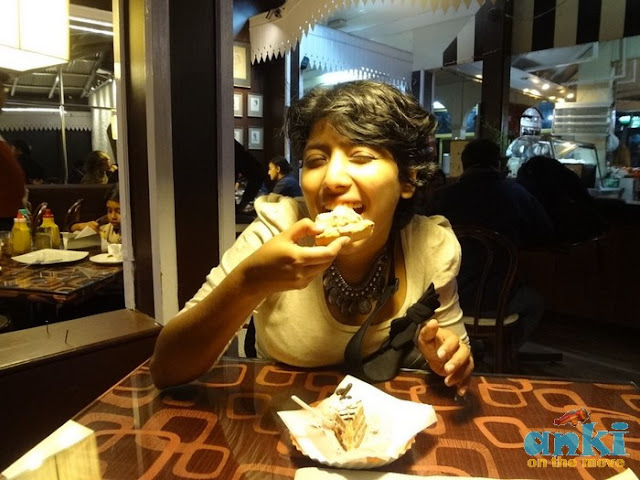 These are some really great recommendations Ankita...I’ll be bookmarking this post for when I do Darjeeling, thank you! Nice and beautiful blog. 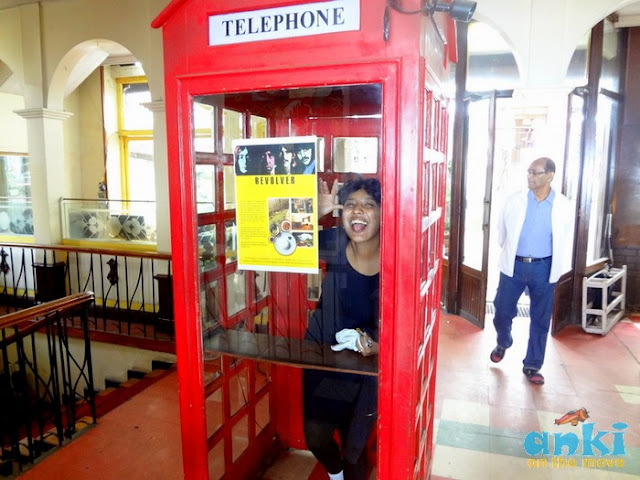 Thanks for shating, DARJEELING is a beautiful place for art lovers and travelers.